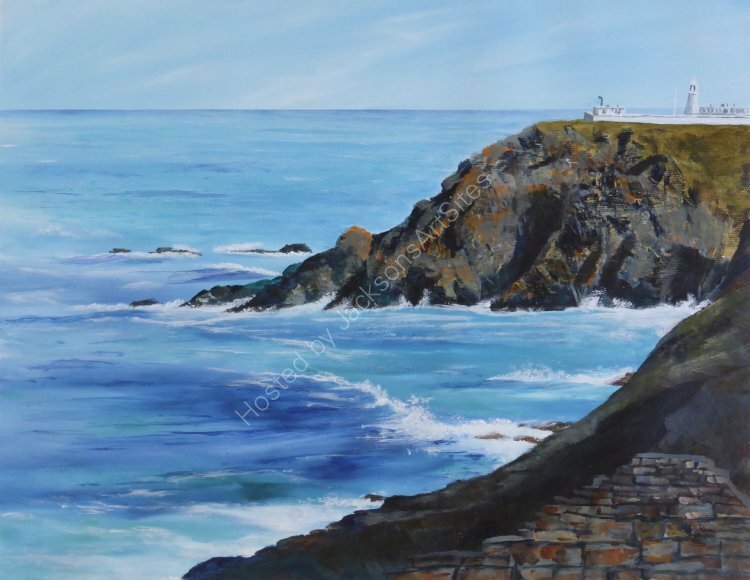 I love the colours of the rugged cliffs and the spectacular light of Pendeen, West Cornwall; it is a beautiful stretch of coastline to walk. The lighthouse is dwarfed by the landscape and is an iconic image for this part of Cornwall. I wanted to paint another version of this scene incorporating some of the mine workings in the foreground.